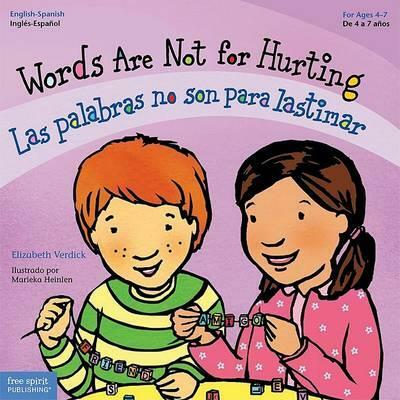 With gentle encouragement, this book teaches children that they can think before speaking, choose what to say and how to say it, and find positive ways to respond when others use unkind words. The importance of saying "I'm sorry" is reinforced. Includes tips for parents and caregivers. Elizabeth Verdick is the author of more than 30 highly acclaimed books for children and teenagers, including books in the Toddler Tools board book series, the Best Behavior series for young children, and the Laugh & Learn series for preteens. Her most recent titles include "Diapers Are Not Forever" and "Listening Time" and "Bye-Bye Time "from the Toddler Tools series. Elizabeth lives with her husband, daughter, son, and five pets near St. Paul, Minnesota.